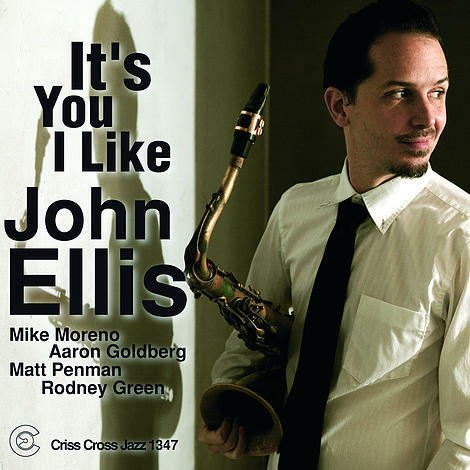 Melody and groove are the watchwords on John Ellis' masterful Criss Cross debut, which mixes optimistic songs composed by the iconic children's television host, Fred (a.k.a. "Mister") Rogers, himself a fine jazz pianist, and dark ones by the late singer-songwriter Elliott Smith. Joined by New York A-listers Mike Moreno (guitar), Aaron Goldberg (piano), Matt Penman (bass), and Rodney Green (drums), Ellis - playing mostly tenor saxophone and a bit of bass clarinet - addresses the repertoire with a surefooted time feel, gorgeous tone, and abiding melodicism. On September 25, 2012 WCPN's arts and culture show "Around Noon" featured an interview with John Ellis about his Criss Cross album It's You I Like. You can still listen to the interview in the WCPN web archives.